and if you don't have a wheel, Linda will give you pointers in what to look for in your search for one, either new or pre-loved. You are more than welcome to use one of ours whilst attending classes. Classes are 'casual', with no block sessions so you can come any Saturday that you can make it and pick up from where you were last time! 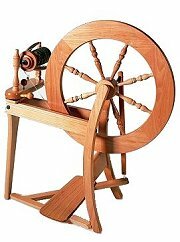 and includes the use of an Ashford spinning wheel, fibres and all necessary equipment for the 2 hours ...and sometimes, for a change, the group decides to do something different...like a dyeing or a felting day. Let Linda or Peter show you the basics of weaving on a Rigid Heddle Loom. This is a 'one-off' session to introduce students to the process of weaving. There is NO "second session". Once completed, students often decide to complete further projects on their own on a rigid heddle loom they have acquired or come to the "Special Weaving Class" .... (or indeed move to a 4-shaft table loom where the possibilities of weave patterns are greatly increased, for which classes are only held on a Thursday morning). finishing the item -washing, fulling etc. A one-off class to get you going! 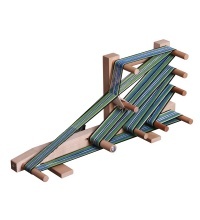 Let Linda or Peter show you the basics of weaving on an Inkle Loom. This is a ONE OFF session to introduce students to the process of inkle weaving. 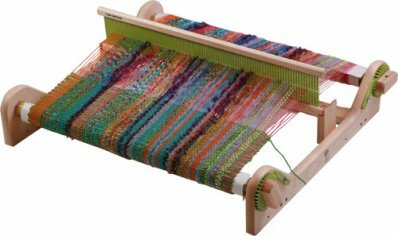 Let Linda show you the basics of finger manipulated weaves, pick-up, lace etc on your Rigid Heddle Loom. 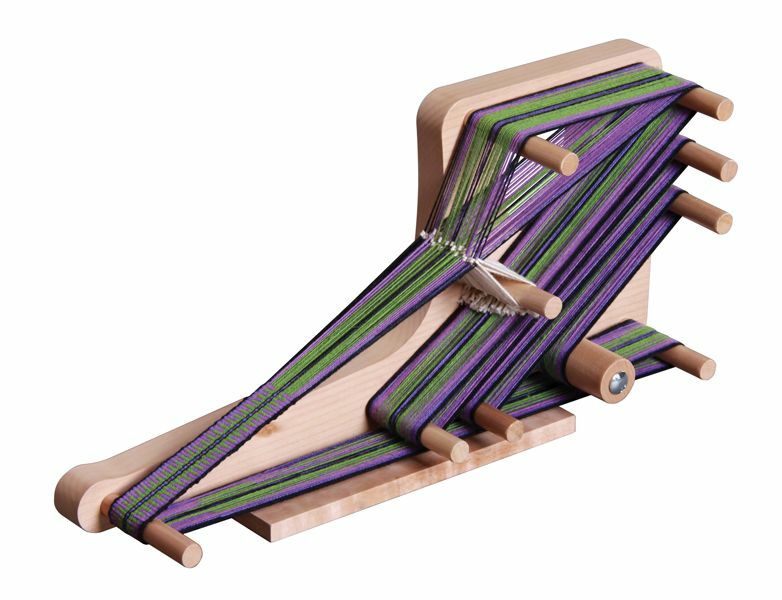 This is a 'one-off Special Session" for students to expand on the creativity of their own rigid heddle loom.